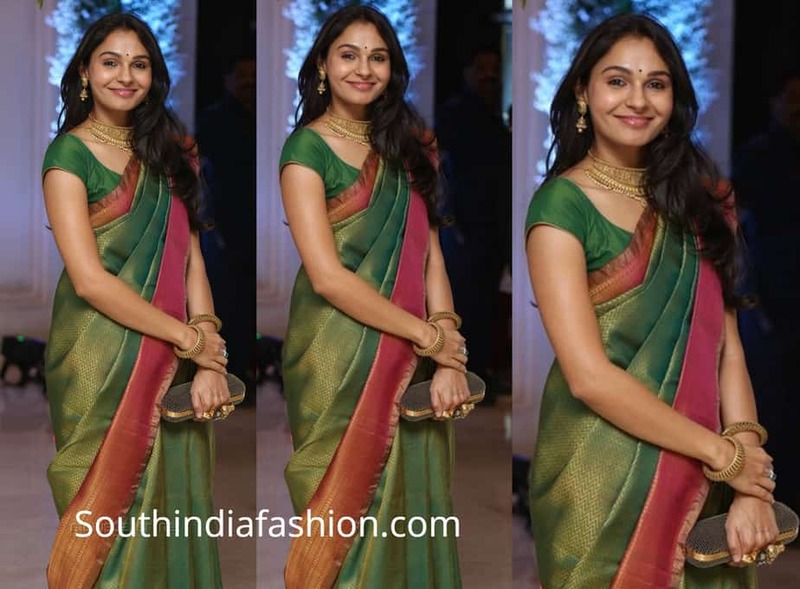 Andrea Jeremiah attended Soundarya Rajinikanth’s wedding wearing a green Kanjeevaram saree with matching short sleeves blouse. Traditional gold jewellery, black box clutch, subtle makeup and wavy hair rounded out her look! The post Andrea Jeremiah at Soundarya Rajinikanth’s wedding appeared first on South India Fashion.